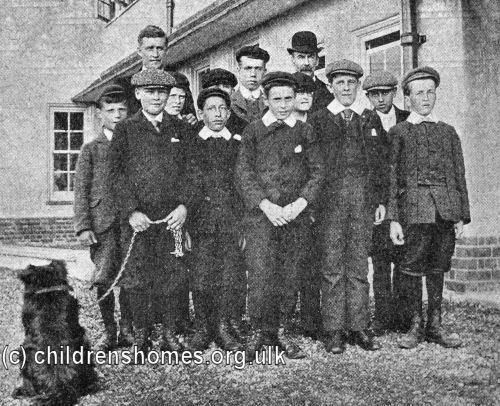 St Benet's 'Gardening Home' For Boys was established by the Waifs and Strays Society in 1903 at 11 Kidmore End Road, Emmer Green, Caversham, near Reading, Berkshire. 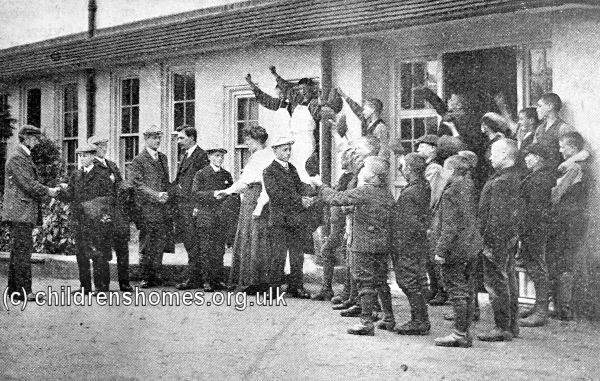 The building and furnishing of the property had been funded by Mr C.M. Powell. 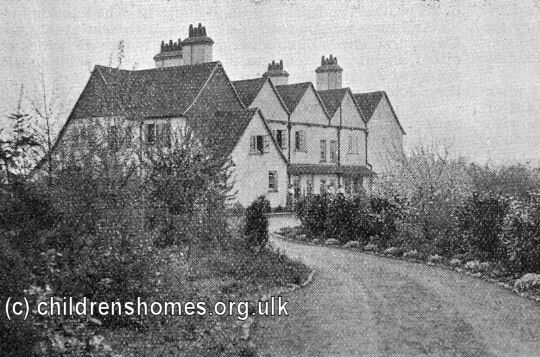 The home was officially opened on May 27th, 1903, by Edward Rudolph, the founder of the Society. The location of the home is shown on the 1936 map below. 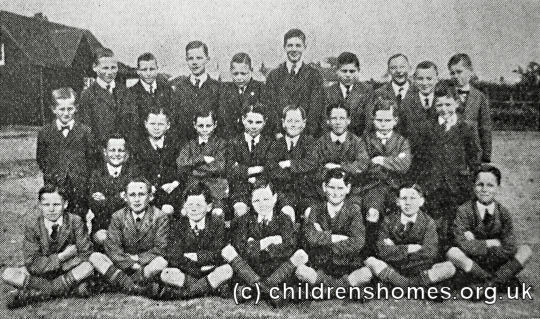 St Benet's Home For Boys site, Reading, c.1936. 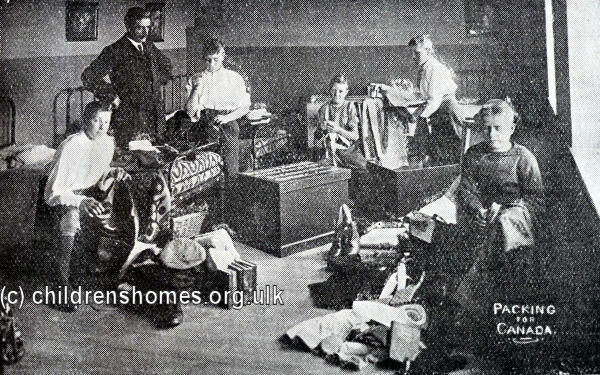 Initially, like the Society's establishment at Standon, St Benet's was used as an industrial training home for 25 boys, aged 13 or over, most of whom would be destined for emigration to Canada. 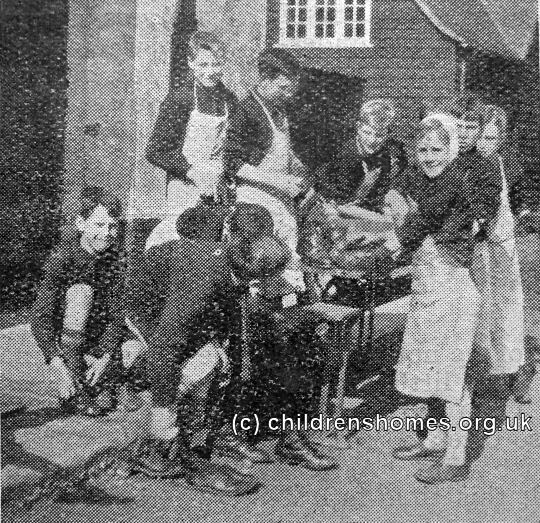 The boys were mainly trained in gardening and agricultural work, for which the home's 6.5 acres of land provided plenty of scope. 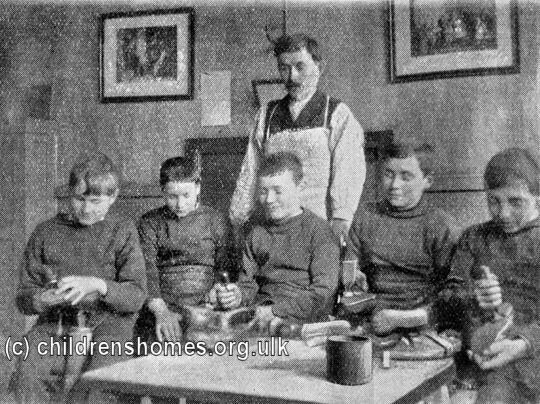 Classes in craft skills such as carpentry, tailoring and shoemaking were also provided. 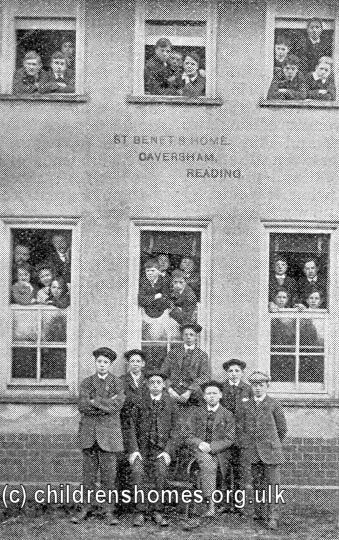 On May 6th, 1912, St Benet's was accredited as a Certified School, allowing it to receive boys boarded out by the workhouse authorities. 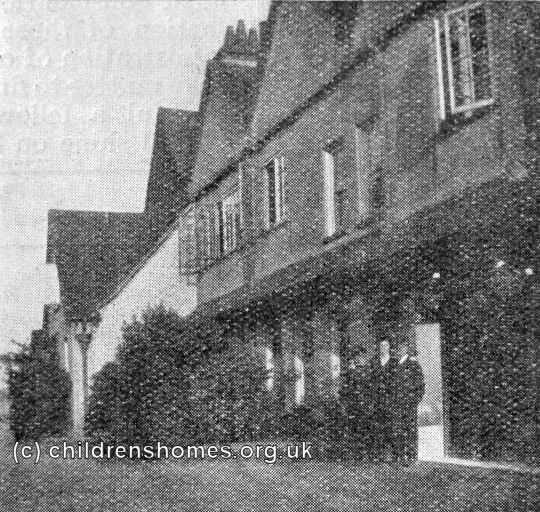 In 1921, St Benet's became an ordinary residential care home, though remained boys-only until 1973. The home continued operating during the Second World War but had a near escape when, early one morning, the Master heard a single enemy plane circling. 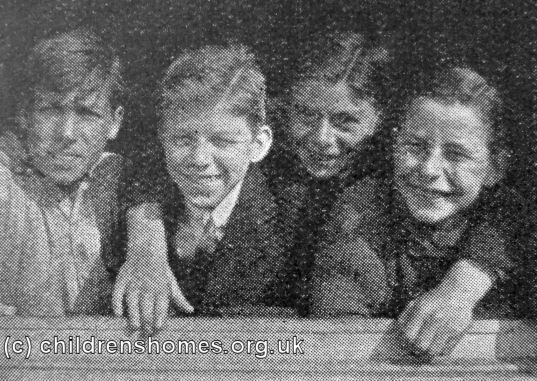 He got the boys into shelter just in time before two bombs landed in the garden, one just by the gymnasium. The house was badly damaged but no injuries were suffered. The home was closed in 1980. 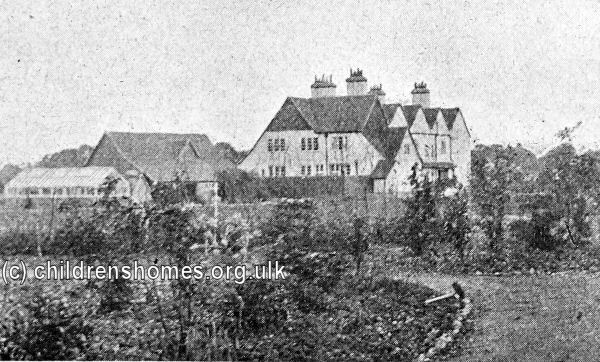 The building no longer survives and the site is now occupied by modern housing.